VITL is raising £400,000 investment on Crowdcube. Capital At Risk. A 'revolutionary' personalised nutrition platform backed by the founders of Zoopla, Love Film and Bulldog Skincare. VITL delivers fully personalised vitamin packs tailored to you, using artificial intelligence to take the guess work out of the missing nutrients in your diet. Information VITL has secured £105,630 from 16 investors prior to their crowdfunding campaign. The investments have been reflected on the campaign. On a mission to improve the nation's health, VITL’s personalised nutrition platform aims to replace the guesswork and celebrity marketing with insight and analysis. Using artificial intelligence and personalisation, developed in-house, VITL brings you much of the benefit of having your own private nutritionist, without the cost. Starting with a free, AI-powered consultation, users explore their nutritional health, before receiving tailored recommendations on how to improve their diet, highlighting vitamin deficiencies they may be at risk of. Using proprietary algorithms, VITL then tailors a fully personalised vitamin pack for each user, (available on subscription) delivering directly to their door. In 2018, VITL enhanced its offering further with nutrition focussed DNA tests (giving insight into genetic predispositions such as caffeine metabolism, alcohol sensitivity and vitamin uptake) alongside at home blood test kits. Having already completed over 50,000 consultations and delivered over 30,000 vitamin packs, VITL is backed by leading U.K investors including the founders of Zoopla, LoveFilm, Bulldog Skincare and Bloom&Wild, alongside the £100m Angel Co Fund. Opening the round to crowdfunders on the same terms as our angels and institutions, VITL intends to use the funds to increase growth marketing, build out the team and further develop a range of exciting new products. To see the rest of the VITL pitch, join now. 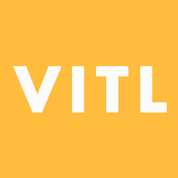 Join to read more information about the VITL team, documents, and what other investors are saying about the pitch.